Encino-Tarzana Teens Blog about, for and by the teens of the Encino-Tarzana Branch Library! June 2011 Events for Teens! Posted by tinylibrarian in Friends of the Encino-Tarzana Library, library, library events, library news, summer reading. Tagged: community service, encino, Friends of the Encino-Tarzana Library, just for teens, library, library events, library news, public library, san fernando valley, TAB, TAG, tarzana, teen, teen advisory board, teen council, teen event, teen events, teen library events, teen lit, teen movie night, teen volunteers, teens, test, volunteer, volunteering, YA, YA lit, young adult, young adult lit, young adults. Comments Off on June 2011 Events for Teens! Join our Teen Summer Reading Club! 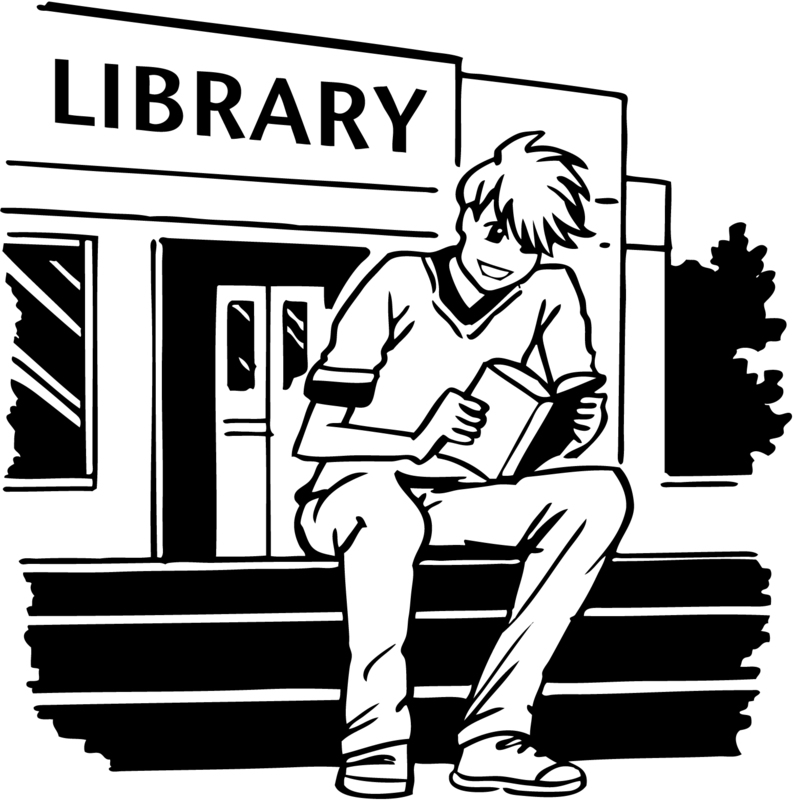 Sat., June 11 –JOIN OUR TEEN SUMMER READING CLUB! Learn how to earn community service hours at the library. For ages 11-18 only. Call or stop by the library to sign-up! *Teen library volunteers will receive an extra hour (or more!) of community service for each teen program they attend. For more information on any of these events, call 818-343-1983! "You Are Here!" at the Encino-Tarzana Library! Fairyland Cosplay Tea Party with Catherynne Valente! Posted by tinylibrarian in author visit, crafts, Friends of the Encino-Tarzana Library, library, library events, library news. Tagged: author visit, cat valente, catherynne valente, community service, encino, face painting, fairies, fairy, fairy kiss, fairyland, fantasy, Friends of the Encino-Tarzana Library, girl who circumnavigated fairyland in a ship of her own making, just for teens, library, library events, library news, nine lessons from a wyverary governouresse, public library, san fernando valley, TAB, TAG, tarzana, tea, teen, teen advisory board, teen council, teen event, teen events, teen library events, teen lit, teen volunteers, teens, volunteer, wand-making, wands, YA, YA lit, young adult, young adult lit, young adults. Comments Off on Fairyland Cosplay Tea Party with Catherynne Valente! Extra special thanks to the fabulous Catherynne Valente, Feiwel & Friends Books, and Trader Joe’s Encino for making our tea party possible! Author Catherynne Valente and actor Frank Romeo did a fabulous reading from Valente’s Andre Norton Award-winning book, The Girl Who Circumnavigated Fairyland in a Ship of Her Own Making. Participants were also given fairy kisses (glitter tattoos) and could make their own fairy wands! Posted by tinylibrarian in Friends of the Encino-Tarzana Library, library, library events, library news. Tagged: community service, encino, fantasy, Friends of the Encino-Tarzana Library, jack black, just for teens, library, library events, library news, lucha libre, movie night, nacho libre, public library, san fernando valley, tarzana, teen, teen event, teen events, teen library events, teen lit, teen movie night, teen volunteers, teens, test, volunteer, volunteering, YA, YA lit, young adult, young adult lit, young adults. Comments Off on Teen Movie Night Premiere! 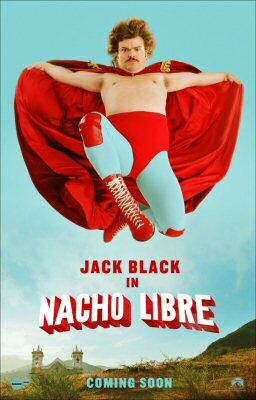 Many thanks to everyone who joined us for our very first Teen Movie Night, featuring “Nacho Libre,” Lucha Libre masks, and Nacho Cheese Doritos! Special thanks to the Friends of the Encino-Tarzana Library for co-sponsoring our event! Posted by tinylibrarian in author visit, library, library events, library news. Tagged: comics, community service, encino, First Second, Friends of the Encino-Tarzana Library, graphic novel, graphic novels, just for teens, library, library activities, library events, library news, news, public library, san fernando valley, tarzana, teen, teen event, teen events, teen library event, teen library events, teen volunteer, teen volunteers, teens, Tracy White, workshop, YA, young adult, young adult lit. Comments Off on Tracy White Comics Workshop! Many thanks to Tracy White, First Second, and all of the teens that attended our comics workshop with author/illustrator/teacher Tracy White! 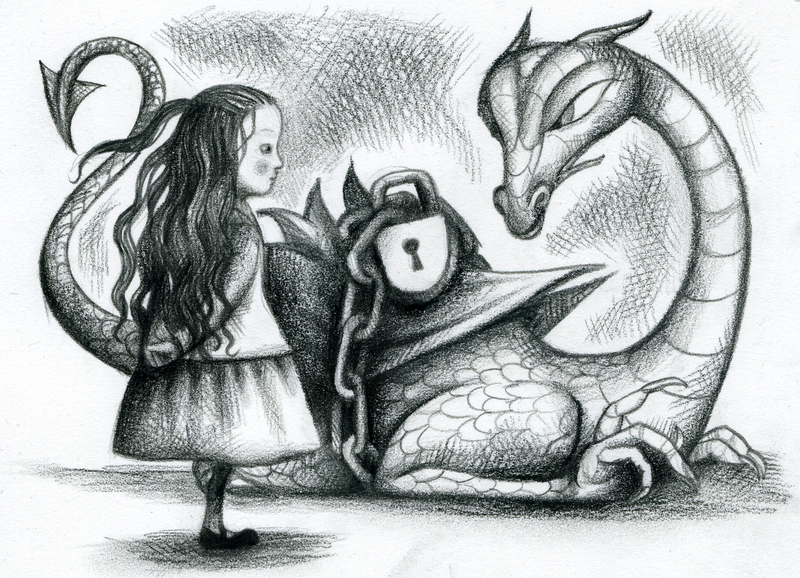 Exclusive Short Story by Cat Valente! Posted by tinylibrarian in author visit, library, library events. Tagged: author visit, borderlands books, cat valente, catherynne valente, encino, fairies, fairy, fairyland, fantasy, girl who circumnavigated fairyland in a ship of her own making, just for teens, library, library news, nine lessons from a wyverary governouresse, public library, san fernando valley, skylight books, tarzana, tea, teen, teen event, teen events, teen library events, teen lit, teens, YA, YA lit, young adult, young adult lit, young adults. Comments Off on Exclusive Short Story by Cat Valente! To celebrate author Catherynne Valente’s extra special upcoming visit to the Encino-Tarzana Library on Thursday, May 12th, we are featuring an excerpt from a short story she has written especially for each stop on her current book tour! The short story is called Nine Lessons from a Wyverary Governouresse and has nine parts. The Encino-Tarzana Library is proud to present Part 5: On the Nature of Wyverns. Wyverns are very like dragons, but entirely different. The most obvious difference concerns our feet. Dragons have four, Wyverns have two—no ridiculous dinosaur forearms to wiggle uselessly at the moon. In addition, the chief hobby of Dragons is hoarding. They scarf up treasure wherever they can find it—palaces, certainly, that’s an easy mark. But also banks, stock exchanges, law firms, and other monstrous lairs. They are not above clawing raw gold out of the mountainside, nor even sneaking into taverns at night and stealing the 20th Anniversary of the Thrashing of King Goldmouth Commemorative Dish (Realle Golde) right off the wall. Dragons are better at sneaking than you think—they don’t like anyone to know, but I’ve no trouble with tattling on my cousins. A real Dragon can fold up just as thin as you please, like a piece of paper creased a hundred times. What do they do with all this glittering, lovely treasure? Well, they hoard it, don’t you know. Dragons offer interest rates to rival any investment bank. It’s all a trick to bring in the good stuff without the trouble of sneaking—Stow Ye Gold With Usse, Dubble Ye Money in Just Onne Centuree! And if you come back in a centuree to get it, why, they’ll offer you such riches to let it lie with them for just a few more years! What’s a millennia between friends? You don’t need Granny Squashblossom’s lifesize sapphire war-horse right this moment, do you? And in their caves they run gems over their tongues in the dark, savoring their sweetness. Wyverns do not hoard. We are not immune to the excitements of treasure—who is? But hoarding is, well, it’s a little boring, isn’t it? Just sitting there on a mountain of doubloons and magic lamps. The brain of a Wyvern is a more organized place. Given a room full of gold and silver and malachite and topaz, we would prefer to sort it. Wyverns love to categorize, to organize, to strategize—anything ending with -ize, really. There ought to be a new word: Wyvernize. To devise ornate systems of organization. This is certainly why my mother was so enamoured of the Library she took as a mate and who was our father—what better system of sorting could there possibly be? It’s never so simple as gold goes with gold, silver with silver, ivory with ivory, emeralds with emeralds. The possibilities are so much greater! Sort metal with metal, stone with stone—well, that’s easy. But what about Treasure Won by Deceit? Treasure Won by Fair Fisticuffs? Treasure Not Won But Lost? That’s better Better still: Things Which Are Precious Because Someone Loved Them? And Things Which Are Precious Because Someone Died For Them? And Things Which Are Precious Because Someone We Knew Thought They Were Beautiful? That is how Wyvernization is done. Don’t forget to join us on Thursday, May 12th, from 4-5 p.m. for our Fairyland Cosplay Tea Time with author Catherynne Valente! May 2011 Events for Teens! Posted by tinylibrarian in author visit, Friends of the Encino-Tarzana Library, library, library events, library news. Tagged: author visit, borderlands books, cat valente, catherynne valente, community service, encino, fairies, fairy, fairyland, fantasy, girl who circumnavigated fairyland in a ship of her own making, just for teens, library, library news, lucha libre, movie night, nacho libre, nine lessons from a wyverary governouresse, princeton review, public library, san fernando valley, SAT, skylight books, TAB, TAG, tarzana, tea, teen, teen advisory board, teen council, teen event, teen events, teen library events, teen lit, teen movie night, teen volunteers, teens, test, volunteer, volunteering, YA, YA lit, young adult, young adult lit, young adults. Comments Off on May 2011 Events for Teens! Join us for Teen Movie Night @ the Encino-Tarzana Library! The Princeton Review administers the full length practice exam for FREE. You may want to bring a calculator and a snack. Spaces are limited, so call to reserve your seat NOW! Receive your results and tips to improve your score at this session. For more information on any of these events, call 818-343-1983 & ask for Candice, the Teen Services Librarian! Coffee & Couplets 2 Thank Yous! Posted by tinylibrarian in Friends of the Encino-Tarzana Library, library, library events, library news. Tagged: coffee, community service, encino, Friends of the Encino-Tarzana Library, graphic novels, just for teens, library, library activities, library events, library news, National Poetry Month, news, open mic, orientation, poet, poetry, poetry slam, public library, san fernando valley, tarzana, teen, teen event, teen events, teen library event, teen library events, teen volunteer, teen volunteers, teens, whole food market tarzana, whole foods market, workshop, YA, young adult, young adult lit. Comments Off on Coffee & Couplets 2 Thank Yous! Thanks to all of the wonderful budding poets and poetry lovers who attended our event! Many thanks, also, to Whole Foods Market – Tarzana, who provided the delicious refreshments for our second annual Coffee & Couplets Teen Coffeehouse Night! Last, but not least, many, many thanks to the lovely folks at Examiner.com and Encino’s Patch.com for writing about our Teen Poetry event!